Back on February 22, 2019 I mentioned a forthcoming review of the Oboz Sawtooth II Low Hiking Shoes and after about 6 weeks of use it’s time for an initial review. 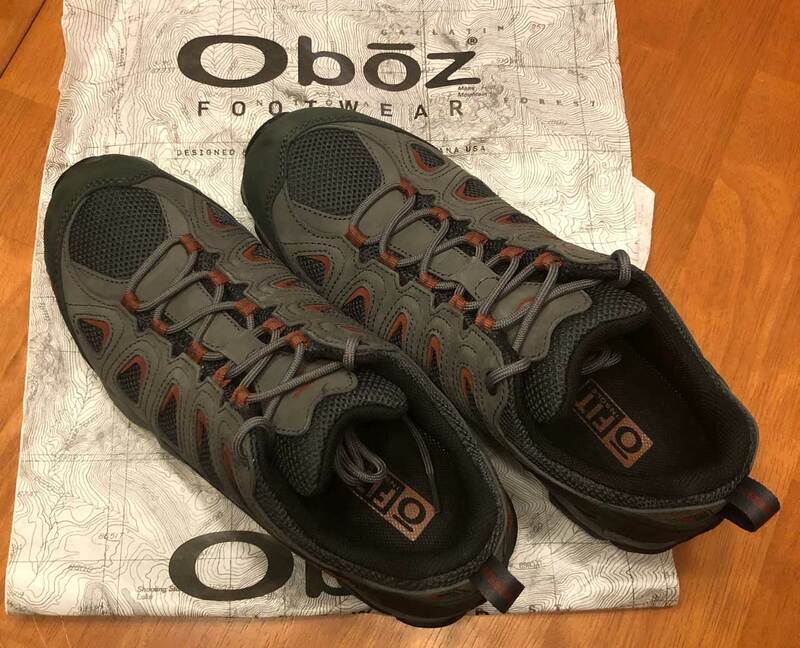 The winter of 2019 here in Connecticut was pretty mild and this allowed me to wear the Oboz Sawtooth II’s nearly every day. They were my work shoes and my play shoes on all but the rainiest days. This equates to a lot of 18 hour days. That’s plenty of time for my crazy feet to have problems with a pair of shoes. Well must say the experience so far has been similar to my other Oboz the Sawtooth Mid BDry Waterproof Hiking Boots. 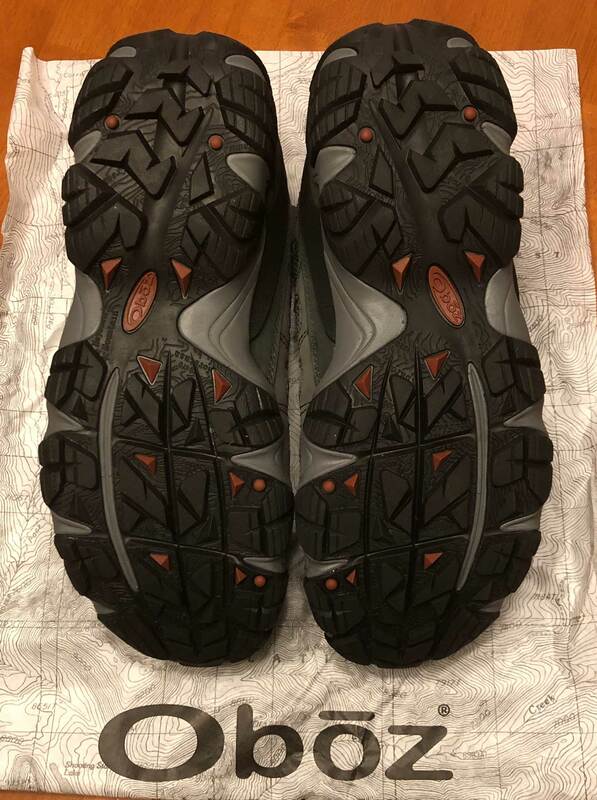 The Sawtooth II features the same O Fit insole as the Sawtooth Mid BDry hiking boots so no surprise I find the shoes to be extremely comfortable. It’s interesting to note that when I wear other shoes and boots I feel as though I’m walking on my heels. That’s a testament as to how much the O Fit insole changes the way shoes fit. I work in a factory so I spend 10 hours a day walking on a concrete floor. My feet simply do not get tired in these shoes. The other benefit at the job has been reduced back pain. When I was 15 years old I had a tumor grow directly next to my spine which in turn caused me to develop scoliosis. Once the tumor was removed the surgeon installed a 6″ long steel rod called a “Harrington Rod” on my spine to correct the scoliosis. This rod causes me a lot of pain walking on hard surfaces and tremendous pain if I stand still. The Sawtooth II shoes do not make the standing pain go away but they do buy me more time before the pain is unbearable. Outside of work the shoes handle my local trails with ease though not being waterproof and boots I avoid obvious obstacles that would pose an issue. They get excellent traction on wet rocks and mud. Note: they hold a lot of mud to prove that you hiked by leaving a trail throughout your home. You’ve been warned. The Sawtooth II’s are breathable and warm. I am prone to cold feet from my feet being too hot and prolonged sweating, so far there is none of that with these shoes. 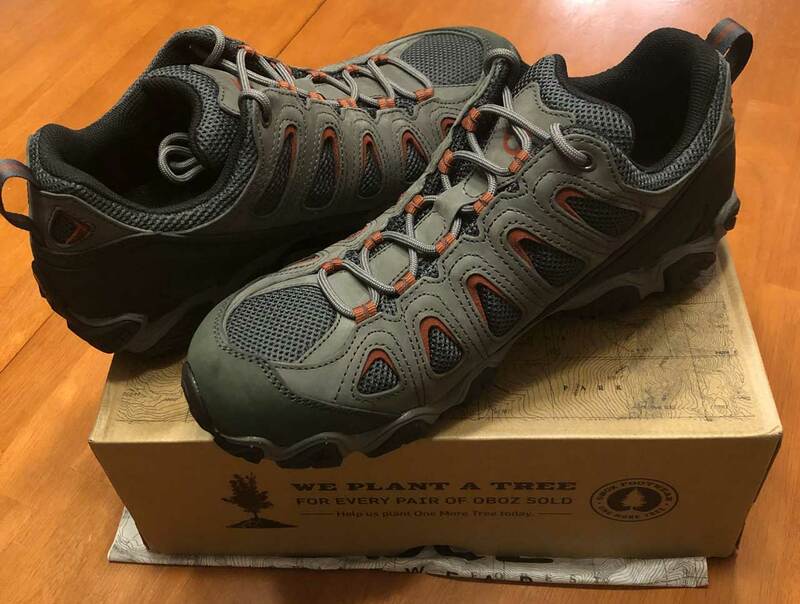 If you have been following along it’s obvious that I love the Oboz Sawtooth II Low Hiking Shoes and that is a fact except for one small but funny detail. Keep reading. Now for the shocking part of the review of the Oboz Sawtooth II’s. I don’t know why but for some reason these shoes generate a tremendous amount of static electricity. All day long I get zapped constantly when I touch objects, computers, humans and animals alike. It’s so bad that on occasion touching my keyboard tray has caused my computer to briefly go black. Touching a light switch in the dark creates a visible flash. No other footwear has ever caused this phenomena with me. It’s weird, shocking 🙂 I might just have to record a video. 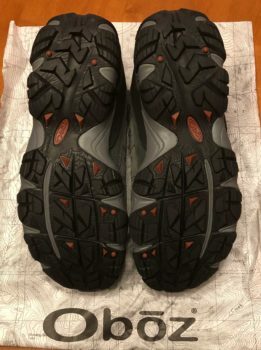 The Sawtooth II’s are nearly perfect dry condition hiking shoe that can also double as everyday shoes with one minor annoyance.